The thatch dilution delusion...discuss. Can thatch be diluted? If so, is there any benefit in doing so? As with many aspects of modern greenkeeping that have been accepted as fact without evidence, the claims for top-dressing's ability to dilute thatch fly in the face of the science. What causes compaction on a bowls green? Compaction is of course one of the big issues in bowling green maintenance and people are always looking for ways to prevent or minimise its occurrence. Compaction happens to a greater or lesser extent depending on soil type. At the two extremes of this are Clay and Sand. Think of a potter wetting some powdered clay to throw a pot and you can immediately picture the compaction and drainage properties of this soil type; it compacts very well when wet and clay pots don’t allow drainage at all; and when clay soil is wet this is pretty much the case under your green too. Clay is a very good moisture and nutrient retainer. Now imagine running on to the upper reaches of the beach, up near the dunes and it’s hard to imagine how this highly mobile sand could ever be compacted. Due to the particle shapes which are round, there is a huge amount of air space between particles which doesn’t allow for any level of compaction. 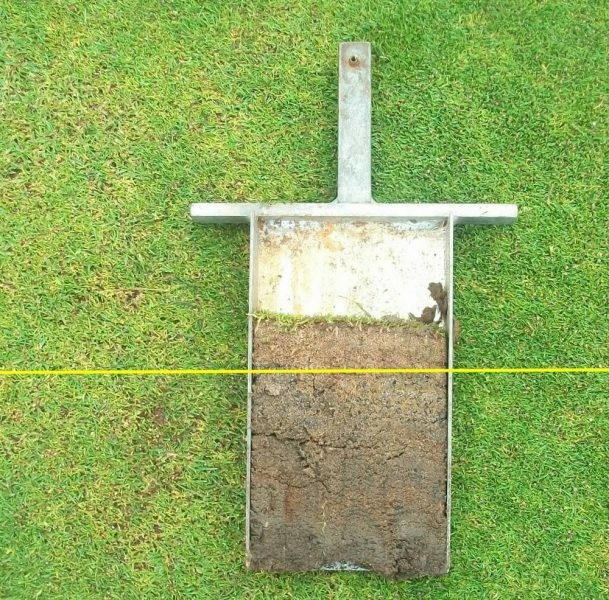 The above examples are, I think, the reasons that clubs have been all too eager to jump on the sand band wagon over the last few decades; more sand seems to equal better drainage and lower compaction. The best bowling green soil lies somewhere between the two and is a sandy loam as discussed here. So although individual actions like foot and maintenance traffic can be said to cause compaction, the underlying soil holds the real answer.